Tones From Hell now on your iPhone and iPad. The Dimebag Darrell CFH Collection meticulously models the ferocious, soulful guitar tone of “Dimebag” Darrell Lance Abbott, one of the most influential guitarists of all-time. 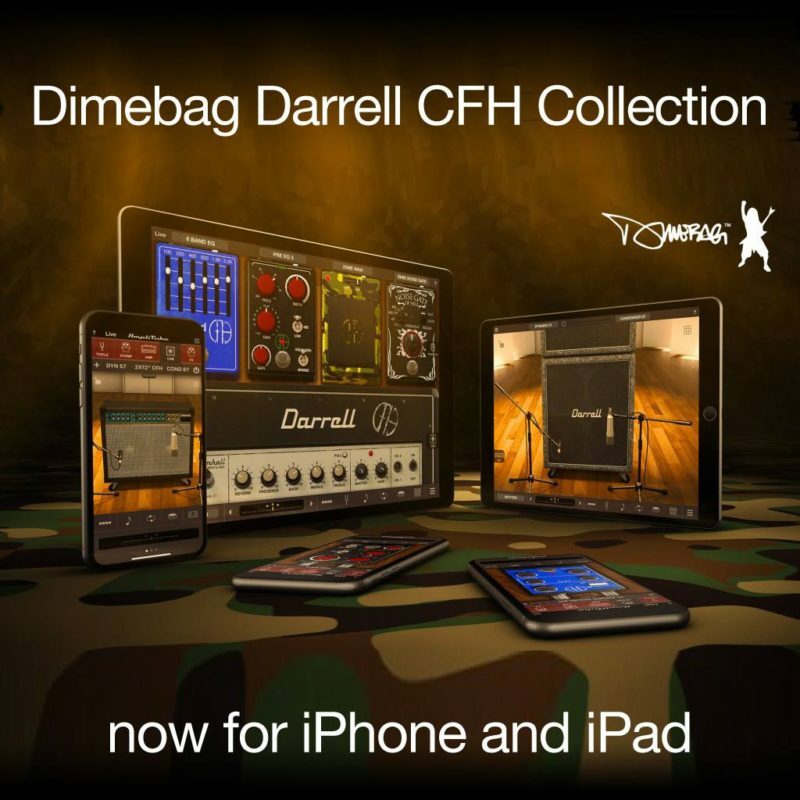 Now available inside AmpliTube for iPhone and iPad, this collection precisely models the exact gear used by Dime to record Pantera’s Cowboys from Hell album, on a device you can carry with you anywhere! Download here: https://www.ikmultimedia.com/products/dimebagios/ 333% Authentic. We worked with Dime’s long-time guitar tech and right hand man, Grady Champion, to carefully model all of Dime’s personal guitar effects, amplifiers and cabinets that he used in the studio while recording Pantera’s groundbreaking album Cowboys From Hell, which started the revolution of the “Power Groove” in metal. The Dimebag Darrell CFH Collection features 9 brand new models including 2 amps, 2 cabinets and 5 stomps.